Does your child cry when you cry? Does she want to give a dollar to every homeless man with a cardboard sign? Or do you have the kid who noticed neither the tears nor the homeless person? The first child may have a deep natural capacity for empathy. The second child, not so much. Empathy is at the root of what it means to be human, experts say, and it’s at the core of all good relationships — personal and professional. Some children may naturally have more of it than others. But not to worry, empathy — the ability to understand and share the feelings of another — is something that experts say can be enhanced, learned, and practised. 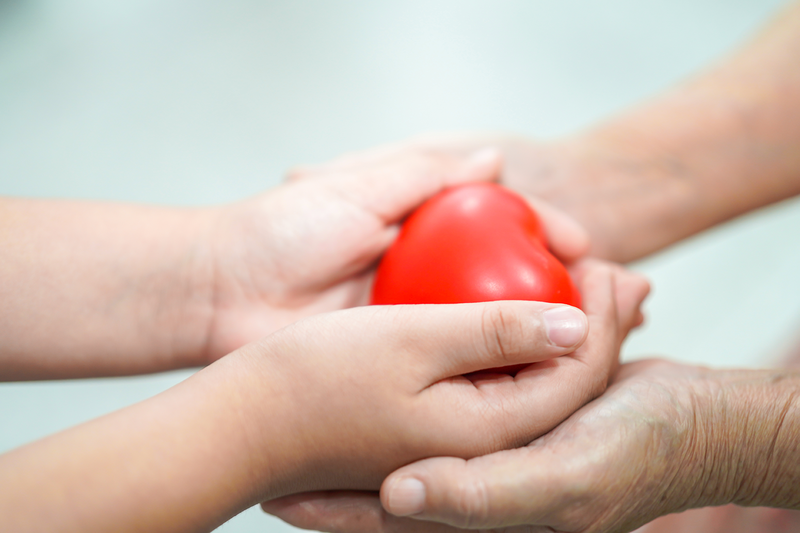 How do you foster an empathic environment at home? Well, to teach empathy you have to show empathy. A “do as I say, not as I do” style won’t cut it. Your kids are watching you — and they copy you. Try these suggestions to strengthen your child’s empathic muscles and avoid habits that destroy an empathic mindset. Show concern for people outside your circle, as well as your family, friends, and associates. Give the letter carrier a bottle of water on a hot day. Join the street musician in a song you know. Talk to strangers in the grocery store line. Don’t judge others. Don’t call people names. Don’t be rude and disrespectful. Don’t sit around talking smack about the neighbours, especially the ones you also hang out and barbecue with. • Let your body language and facial expressions convey that you are listening by nodding and offering plenty of “uh-huhs”. • Respond to what people say. Don’t formulate your response while someone else is still talking. And don’t interrupt. Remember, forgiveness is not about the other person. It’s about how you act and feel. Let your child see you being the bigger person. Don’t hold grudges, seek revenge, be mean or unkind, or give “the silent treatment” to loved ones. Encourage your kids to be inclusive, so that means you need to be inclusive, too. What’s your group of friends like? It’s important to let your child talk about race, prejudice, and stereotypes. Don’t be afraid to talk to your kid about race, inequality, and discrimination. If you see incidents of prejudices or stereotyping, don’t let them pass without comment. Your child’s other feelings could be getting in the way of their ability to feel empathy. Help your child learn to identify other people’s feelings when reading books or watching movies or TV shows. Don’t shut your child down with phrases like, “Stop. I don’t want to hear it” or “Big girls don’t cry.” Don’t discount or disregard their feelings. Don’t ignore emotions they are having a difficult time expressing or are attempting to suppress. This is an abridged version of the article, you can read the full article here. Ask a teen today how they communicate with her friends, and they’ll probably hold up their smartphone. Not that they actually call their friends; it’s more likely that they text or message them on social media. 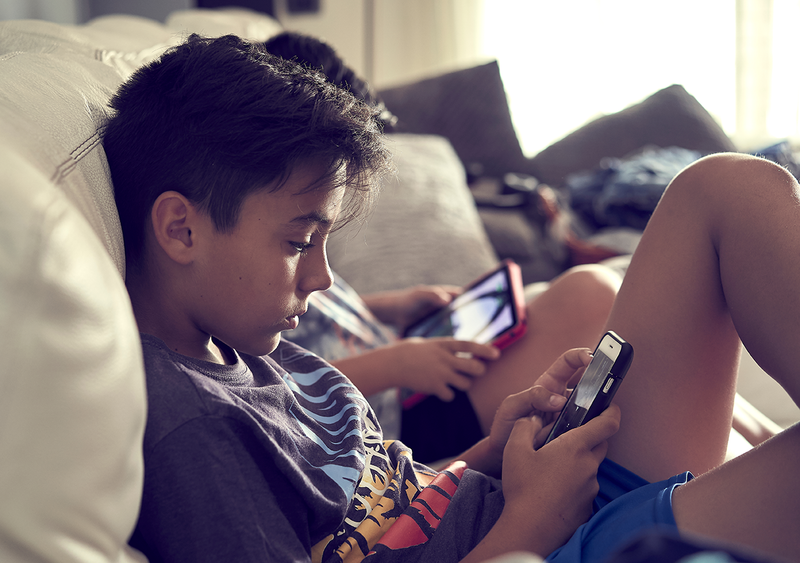 After studying two large, nationally representative surveys, it was found that although the amount of time teens spent with their friends face to face has declined since the 1970s, the drop accelerated after 2010 — just as smartphones use started to grow. It’s not because they are spending more time on homework or extracurricular activities. Today’s homework time is either unchanged or down since the 1990s, and time spent on extracurricular activities is about the same. Yet they’re spending less time with their friends in person — and by large margins. As previous studies have shown, it was found that those teens who spent more time on social media also spent more time with their friends in person. Imagine a group of friends that don’t use social media. This group regularly gets together, but the more outgoing members are willing to hang out more than others, who might stay home once in a while. Then they all sign up for Instagram. The social teens are still more likely to meet up in person, and they’re also more active on their accounts. Higher levels of teen loneliness are just the tip of the iceberg. Rates of depression and unhappiness also skyrocketed among teens after 2012, perhaps because spending more time with screens and less time with friends isn’t the best formula for mental health. That argument assumes that electronic communication is just as good for assuaging loneliness and depression as face-to-face interaction. It seems clear that this isn’t the case. There’s something about being around another person — about touch, about eye contact, about laughter — that can’t be replaced by digital communication. You may be hoping your child will learn how to read and write in the first few months of preschool or kindergarten. But there are many other skills she needs to master before an academic focus is appropriate. 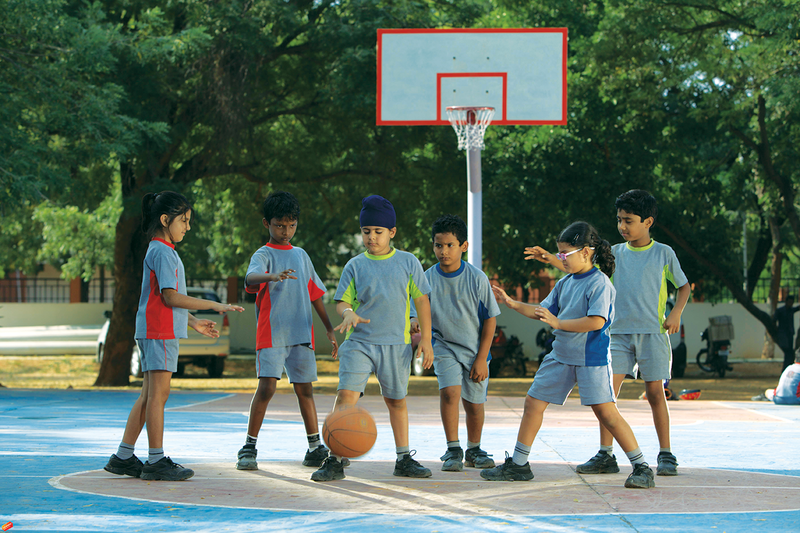 Studies show that the most important skills to learn at the beginning of the year are social: cooperation, self-control, confidence, independence, curiosity, empathy and communication. In the first months of school, early childhood teachers are most concerned with children who have behavioural and attention problems. It’s simple: If a child is not able to take turns, listen and sit in a group, how can they learn what is being taught? That is why teachers spend a good deal of time early in the year on the basic social skills of preschool and kindergarten. Even if your child has been in a child care centre or another type of program, they still need to learn the social and emotional dynamics of this new group. Luckily, their previous experiences with social interaction both at home and in other programs will help them make the transition. Once these basic social interaction and group behaviour skills are in place, they are more ready and able to concentrate on academics. Here are a few examples of teachers’ goals for the beginning of the school year. Ask your child’s teacher to tell you about her objectives and for her suggestions on how you can support these skills at home. Confidence: One of the first skills teachers focus on is the development of your child’s sense of confidence or self-esteem. This means helping them feel good about who they are, both individually and in relationship to others. This is a lifelong skill that will help them feel competent now and as they continue in their schooling. Cooperation: Games, stories and songs help your child learn how to work with others — no small task at this age! This teaches them how to empathize and get along with others. Curiosity: Perhaps one of the most important skills she needs to develop at this stage is a true thirst for learning. Their teachers will use a wide variety of interesting materials and ideas to engage your child’s natural curiosity. Recent research shows that novel or unusual activities and materials engage the brain more than predictable ones, thus causing the brain to pay close attention. Communication: Expressing themselves and representing their ideas, feelings and knowledge about the world is a key skill for your child. It is at the core of all reading, writing, math, and science skills. If they feel comfortable talking about an idea or opinion, they will be more open to learning and taking the risks of thinking that are needed to learn anything. Help your child develop essential social and emotional skills by making connections with school friends at home. Ask them who they would like to invite for a playdate. It is often easier for children to make friends in their own space one-on-one than in school. Many teachers have found that a child who is having difficulties making friends or sharing in a large group often can make a close connection to a new friend on her home turf. This relationship can then carry over to the classroom setting. Once there is a connection to one child in the classroom, more are soon to follow! The experiences your child has at the beginning of the year provide the foundation that will enable them to become an enthusiastic, lifelong learner — enthusiastic because they have discovered that learning is fun as well as meaningful. Are ‘little white lies’ really harmless? 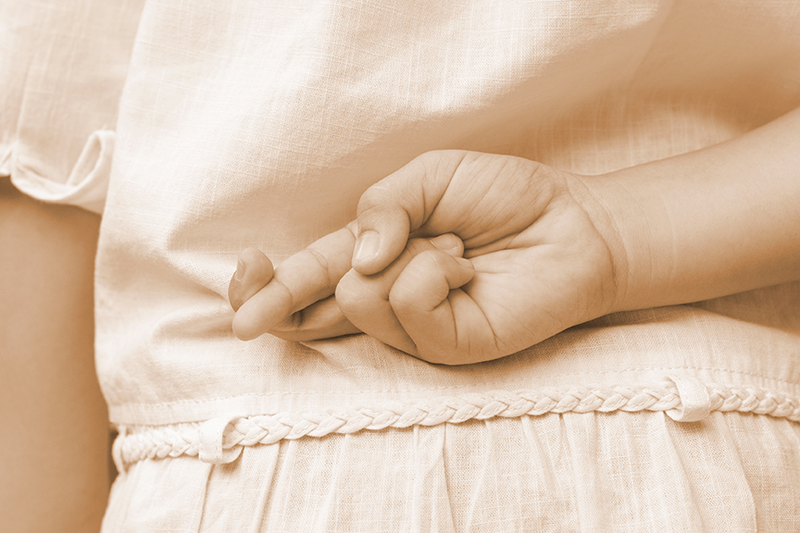 We think of so-called “little white lies” as harmless, but what about when our kids hear us tell them? Most of these lies are benign; they’re called “prosocial lies” by researchers because they smooth our interactions with others, making our lives easier and helping us avoid conflict. We tell them to avoid hurting someone’s feelings (I already have plans), to excuse our own behaviour (I’m late because the traffic was terrible), and to make someone feel better (I can hardly see that pimple). Most of us don’t put these kinds of lies in the same category as lies that cause obvious harm to others or break laws. One survey found that the majority of adults don’t consider “white lies” to be lies at all. When kids hear us lie, the implicit message is that sometimes lying is okay. And then there are the times we explicitly encourage our kids to lie — about liking a gift which they actually don’t like, for example. We all want our kids to be honest, but we tend to be proud when they tell a polite lie to avoid hurting someone’s feelings. And for good reason — the ability to lie is a developmental milestone associated with intelligence and social sophistication. But these sanctioned falsehoods come at a cost. Encouraged to tell so many white lies, children gradually get comfortable with being disingenuous. Insincerity becomes, literally, a daily occurrence. They learn that honesty only creates conflict, while dishonesty is an easy way to avoid conflict. it’s a slippery slope from small polite lies to telling other kinds of lies. If you catch yourself telling a lie in front of your kids, treat it as an opportunity to state what was in your head at the time. Let your child know why you said what you did. It can happen at the store, the doctor’s office, or the party your child’s been looking forward to for weeks. Something snaps and your child has a total, tectonic, temper tantrum: screaming, kicking, tears. Nothing you say calms your child down, strangers are gaping, and before it’s over you feel like flinging yourself to the ground and bawling, too. What are temper tantrums, exactly, and what causes them? Small children have little control over their lives and few words to communicate their desires and disappointments. Tantrums are a normal expression of frustration from a little person who wants her way — and doesn’t have the skills to express herself yet. Just because they’re normal, however, doesn’t mean they’re inevitable. Here are the best ways to head them off before they happen. Is your child thirsty, hungry, overtired, or over-stimulated? These are common preconditions for tantrums. Carry snacks and water on outings, and avoid potential tantrum triggers — a shopping trip, for example — when you know your child is tired. 2. Use the 5-minute warning. 3. Pay attention to attention. Could your child be throwing tantrums to get your attention? If this is the case, make sure you get special time with your child, but don’t allow the tantrum to be the immediate reason for it. (You don’t want to reinforce the behaviour). When your child behaves well, show him you notice that as much as his meltdowns. Basically, pour on the positive attention. 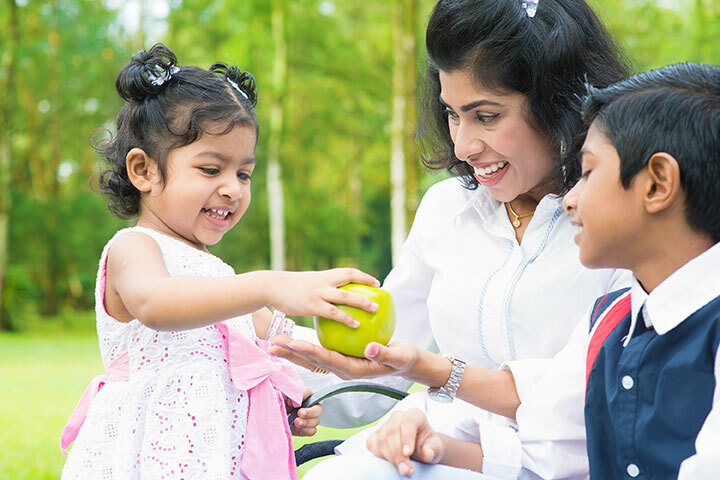 Develop family routines — regular meal and bedtimes, for example — and stick to them. Young children’s lives are full of change and near-constant stimulation. Plus, they’re growing so fast — anything you can do to add stability will help them feel more secure. The set up here is important: don’t give your child free rein to state any whim. Instead, offer up two or three viable options — whether it’s a snack, an activity, or what to wear. For example, you can say, “You need to wear shoes to school because that is the rule. Would you rather wear your tennis shoes or your boots?’” However, matters of safety should never be negotiated: a child must always use a seat belt, for example, whether he wants to or not. At this age, distraction works like a charm. If you see trouble ahead over an off-limits item, your best bet is to offer up something else. And if your child is becoming upset or overstimulated, suggest another activity or remove her from the situation. Want to Raise Smart, Kind Kids? Science Says Do This Every Day. As parents, we have big dreams for our kids. We want them to be smart so they can go after what they want in life and have a reasonable chance of getting it. We want them to grow up to be kind, caring members of the community. And it would be nice if they also turned out to be the type of people who remember to signal before turns. And yet, now is the time to set our kids up for success in life. So how can we raise smart and kind kids? As it turns out, we have one magic “keystone habit” as parents that will help us raise smart, kind kids. If you haven’t heard of keystone habits before, they’re an elite category of habits that kick off a chain reaction, influencing several areas of your life at once. In other words, you can focus on just one keystone habit, and you’ll experience several positive impacts. The best thing about this particular “keystone habit” for raising smart, kind kids is that it’s completely free, it takes just 10-15 minutes a day, and anyone can do it. All you have to do is this: Read to your child. Even if they already know how to read to themselves. Because research shows reading aloud is the powerful keystone habit that will raise smart, kind kids. Your child will hear a wider variety of words. Here’s why this is important: The one pre-kindergarten skill that matters above all others, because it is the prime predictor of school success or failure, is the child’s vocabulary upon entering school. Yes, the child goes to school to learn new words, but the words they already know determine how much of what the teacher says will be understood. And since most instruction for the first four years of school is oral, the child who has the largest vocabulary will understand the most, while the child with the smallest vocabulary will grasp the least. You grow your child’s brain, literally. The more you read to your child, the more the neurons in their brain will grow and connect together. You put them on the path to be a lifelong reader. Reading is essential for the learning process, and kids who struggle with reading tend to struggle in school. But you have the power to give your child this one key to success in school and life because the single most important activity for building the knowledge required for eventual success in reading is reading aloud to children. Your child’s behavior will improve. When you read aloud, you increase your child’s ability to pay attention and concentrate – skills that definitely help your child in school. Also, reading aloud to a child can even decrease aggressive tendencies in the child. You build a stronger bond with your child. Kids love when you read aloud to them because of the physical closeness and emotional bonding it offers. In our busy modern lives, how often do we stop everything we’re doing, put down our phones, and just enjoy time with our kids? A strong connection with your child leads to better cooperation from them, and that’s something pretty much every parent could use more of. You increase your child’s capacity for empathy. When you read fiction to your child, their brain is “literally living vicariously through the characters at a neurobiological level.” In other words, you’re exposing your child to different types of people and giving them the ability to put themselves in their shoes while you read. Growing your child’s empathy muscle will teach them to be a friend who empathizes, a partner who can see their partner’s side in a disagreement, and a compassionate person who helps others in need. The moral of my little research project? 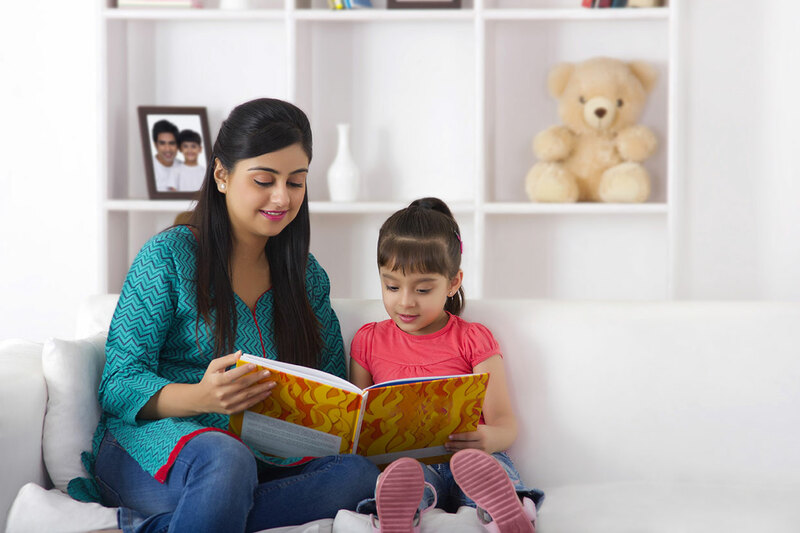 The one single habit of reading aloud to your child kicks off a chain reaction of all these positive outcomes, and more. If you’re looking for the secret to raising smart kids, reading aloud is it. How to teach your child to say “sorry” and mean it. I want what most parents want — to raise a kid who’s compassionate, takes responsibility when he’s not, and can forgive others’ lapses in kindness. But I don’t have a clear map for doing that. For example, I have some idea that going through the motions of an apology will help toward the goal of raising a kind, caring kiddo — and it certainly seems to help appease the parents of the other kids. But the experts say a forced apology does not actually teach any of the above. And even a real apology often isn’t enough. 1) Acknowledge the feelings that preceded the harmful action. Say something like, “You knocked over your brother’s tower. That’s really upsetting because he worked hard on that.” Showing your child that you understand that he isn’t a bad person — just aggrieved and low on impulse control — can help calm him down. 3) Find a way to make amends. “What can we do to make him feel better?” Make suggestions. Faber likes a tangible, token offering — chocolate, a small toy to share, etc., or rebuilding the tower with him. “She talked about her feelings instead of attacking the child,” Faber says. Then, instead of punishing him or forcing a sorry, she told him, “The edges need to be evened up so they’re not so messy.” She held the fringes while the boy snipped them straight. Then he said an unprecedented, “I’m sorry.” The next time he spilled water he said, “The water spilled, can we fix it? What should I do?” He was never as destructive again.